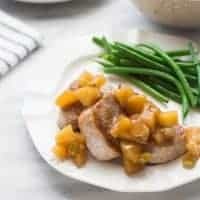 Pork Tenderloin with Golden Applesauce! 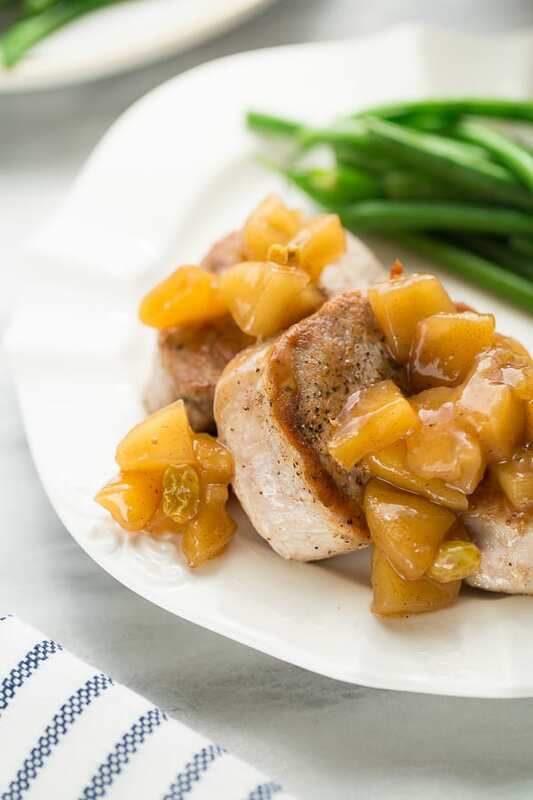 The BEST pork/apple recipe ever. So easy to make, but fancy enough for parties/holidays! This post was created in partnership with Martinelli’s. 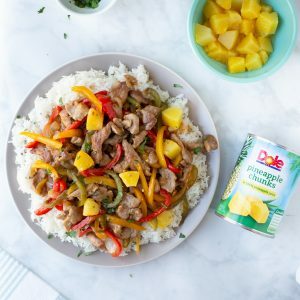 This might just be my favorite pork recipe of all time! If you need a meal that is fancy enough for company or holidays (hello Easter dinner!) 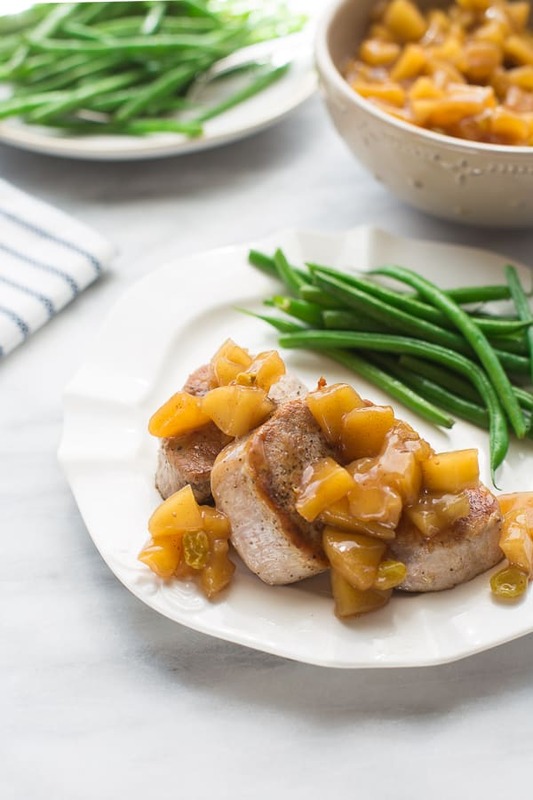 but still easy, this pork tenderloin is the answer. 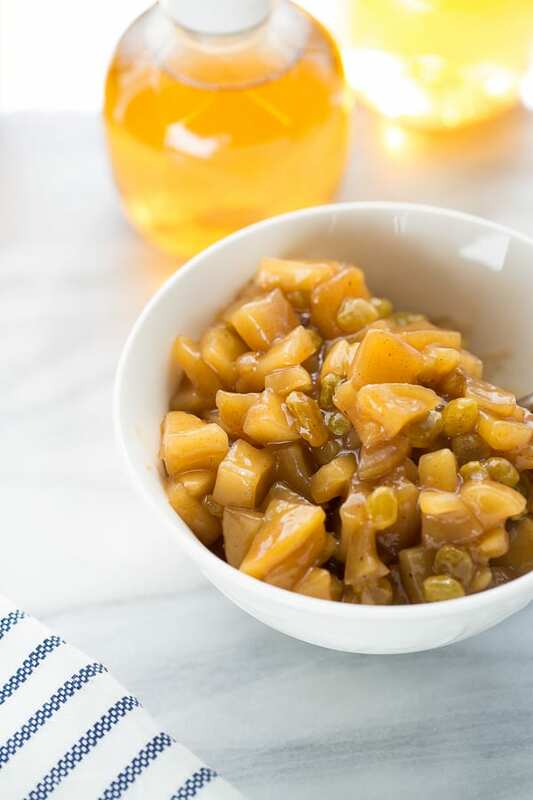 It’s no secret that apples and pork go perfectly together, and this golden applesauce takes the combination to a whole new level. The golden applesauce has apples, golden raisins, cinnamon and nutmeg, a hint of ginger and Martinelli’s apple juice. Every year we go once or twice to visit my in-laws in San Diego. 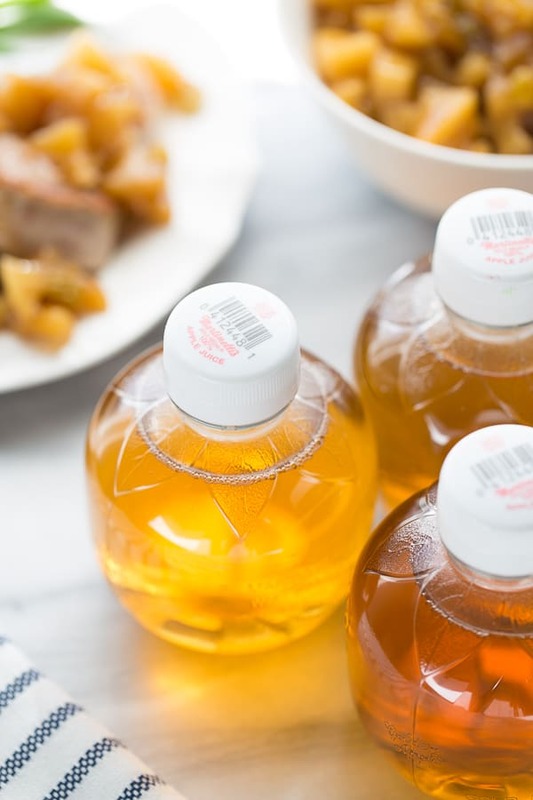 My mother-in-law always stocks the kitchen with the best food and treats for the grandkids – including little Martinelli’s apple juices! My son always mentions apple juice as something he loves most about Grandma’s house. I have to agree! Not only are they the cutest little bottles, but it really is the best-tasting apple juice I’ve ever tried. And if you have leftover golden applesauce (which doesn’t usually happen at my house) try using it as a topping for waffles or pancakes! Combine all the ingredients for the applesauce except the arrowroot/water mixture in a medium pot over medium high heat. Bring to a simmer and cook until a chunky sauce forms, about 15 minutes, stirring occasionally. Once apples are soft and the sauce has reduced slightly, whisk in the arrowroot/water mixture. Simmer for another 3-4 minutes. Remove from the heat and discard the ginger. Meanwhile, cook the pork. 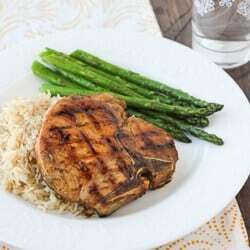 Slice the pork tenderloins into 2-inch medallions. Flatten each piece slightly and dry with paper towels. Sprinkle both sides generously with salt and pepper. Heat the olive oil over medium-high heat until shimmering, add the pork (you may have to do this in 2 batches) and cook without moving for 3-4 minutes. Flip and cook on the other side for another 2-3 minutes. Transfer to a plate and tent loosely with foil until ready to serve. Top with the warm applesauce and enjoy! *The applesauce can be made up to 5 days in advance and stored in an airtight container in the refrigerate. Gently reheat until warm before serving. I love serving this with mashed potatoes or roasted yukon gold potatoes for a true fall feast! 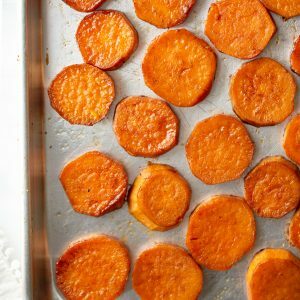 To roast yukon gold potatoes, simply cut them into wedges, toss with olive oil and salt/pepper, then roast at 400F for 35-40 minutes. Thank you so much Kelly! I hope you have a Happy Thanksgiving as well! Didn’t have quite enough apple juice, so topped it off with real cranberry juice. Had dark raisins and dried cranberries be on hand, chose the dark raisins. Used tapioca flour rather than cornstarch. Served over a wild rice mix. This was a really good meal. My husband is a Dan of the wild rice mix, me not so much. The applesauce made the rice disappear for me. Next time…mashed potatoes! I’m a huge fan of pork and apples. The sweet and savory taste is always a winner.